The old adage “the customer is always right” may challenge today’s marketplace, but Apple Stores certainly prove that, right or wrong, the customer must be treated well and with a memorable experience. In fact, as Forbes reports, “The Apple Store customer experience helps drive jaw-dropping in-store sales of nearly $5,000 per square foot,” a benchmark previously achieved only by luxury retailers like Tiffany. First impressions are hard to undo, so aim to get it right, every time. 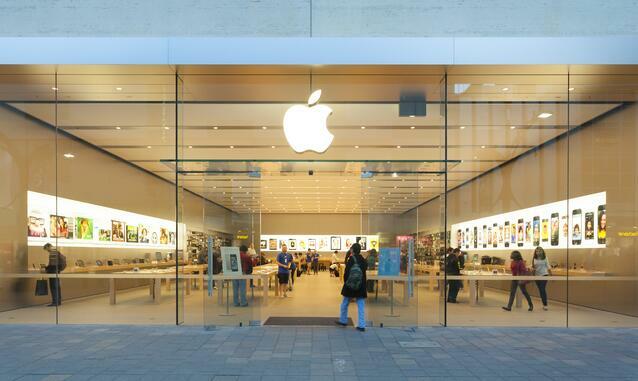 Packed in this first principle is more than just making sure smiling, friendly staff welcome customers as they walk through the doors of your store -- although Apple does demonstrate how critical this is. When you walk into an Apple Store, a clearly identifiable and enthusiastic greeter guides you to a helpful, eagerly awaiting “genius.” Plan for every first impression to make the difference in your store. Does my staff show enthusiasm? Are my staff easily identifiable and available at my store entrance? Is my store clean, free of clutter, and logically organized for free flow of traffic? Take time now to respect your customers’ time later. To minimize and even eliminate the wait to explore the iPad Pro’s newest features, Apple offers an app and online scheduling options for customers to schedule a time for in-store servicing. Even before arrival, provision is made for Apple Store employees to address the customers’ needs in a time-efficient manner. How much time does it take for a customer to be served in your store? What might a convenient app or online customer service do for your retail store? Hire and train employees that fit the job and enjoy learning. Any company is only as strong as its weakest employee. Apple, known for remaking itself, strives to hire well and train repeatedly to meet the changing marketplace demands. In hiring employees, Apple Stores carefully select people for not only their technological experience, but also for their ability to listen and respond with understanding and a can-do attitude. Then, these carefully chosen employees are continuously trained in Apple’s proprietary system of customer service and experience. What employees gain is a sense of worth and value from their work experience. Also, Apple uses cross training to encourage employees to share knowledge and cross train each other, a practice which ripples benefits throughout any business or organization. How often do your employees receive training? What processes or programs could you put in place to recognize employees’ above-and-beyond performance in the area of customer interaction, employee training, or problem-solving? Streamline the sale. Without question, Apple Stores maximize time, resources, and talent to the dual advantage of customers and company. While your retail operations may not be in a position to replicate the Apple Store’s minimalist tradition of no cash registers or check-out lines, your shop may find opportunity to streamline sales processes. Like Apple, you can find ways to complete the sale or serve customers on-the-spot, without moving them through a series of long lines or clumpy stages. Once a customer makes a decision, keep it simple for them to complete the transaction.